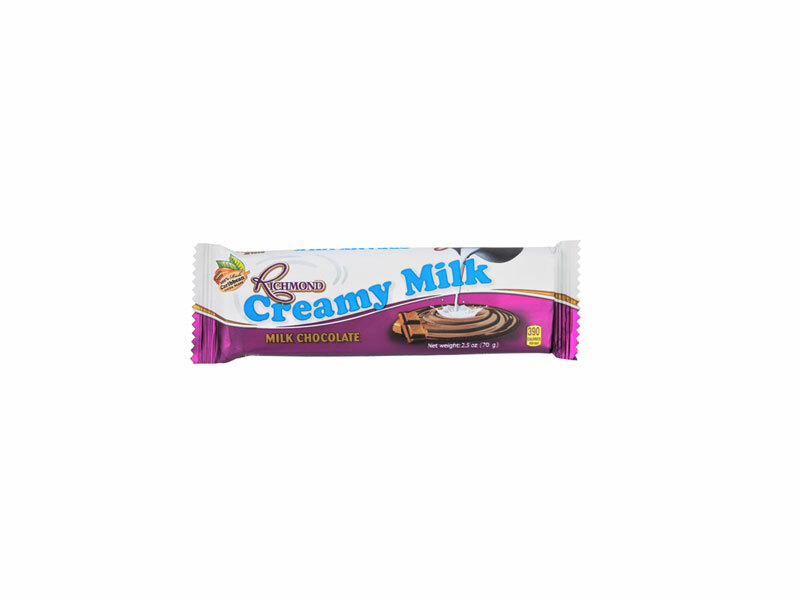 Enjoy the rewarding indulgence which only the smoothness of a creamy smooth milk chocolate can bring. 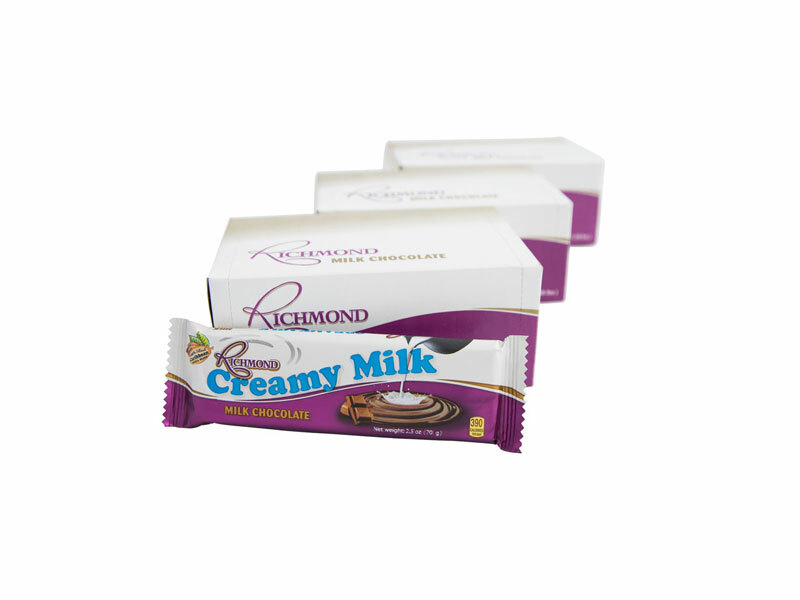 Richmond milk chocolate is inspired by and uses only the unique rich cocoa beans grown in the Caribbean. 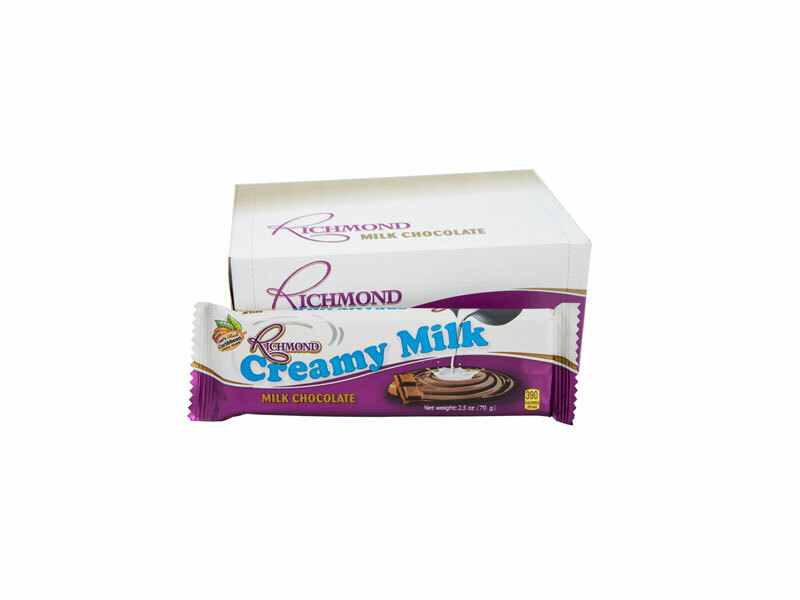 Made in the Caribbean to the most exacting international standards, each Creamy Milk bar provides the rich milk chocolate satisfaction the Richmond name represents.